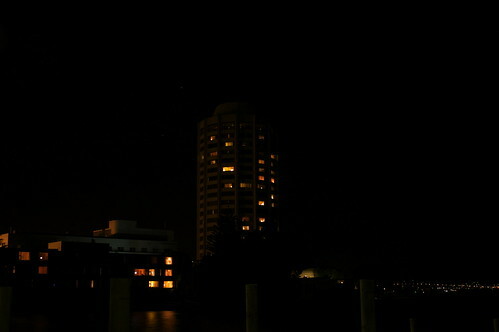 Wrest Point — Earth Hour 2009, originally uploaded by Christopher Neugebauer. Earth Hour was celebrated yesterday: buildings and households all around Hobart switched their lights off as a statement in favour of action on Global Warming. This is Wrest Point Casino (Hobart’s tallest building) with its external lights switched off — though it would seem that some of the patrons of the hotel didn’t get the message.